Andorra, Argentina, Australia, Austria, Belgium, Belize, Brazil, Canada, Costa Rica, Chile, Denmark, El Salvador, Finland, France, Germany, Greece, Honduras, Ireland, Israel, Italy, Japan, Liechtenstein, Luxembourg, Malaysia, Mexico, Monaco, Netherlands, New Zealand, Nicaragua, Norway, Panama, Paraguay, Portugal, Spain, San Marino, Singapore, Sweden, Switzerland, Taiwan, United, States, United Kingdom, Vatican City, Venezuela. A valid passport is required for all concerned countries except for citizens of Central American countries. International Airport (GUA), which is near the city of Guatemala. International flights arrive mostly from other Central American countries and North America. The airport is currently under reconstruction and modernization. Now is a glass and concrete building with modern duty free shops, a typical airport of any major city, which in turn has food options for all tastes. It is sometimes cheaper to fly to Cancun and take buses through Belize or to fly to Mexico City and then to fly low-cost airline Aviacsa for about $ 100 USD to Tapachula, which is the border between Mexico and Guatemala. Interjet is flying now for $ 120 from Cancun and Mexico City to Guatemala City as well. 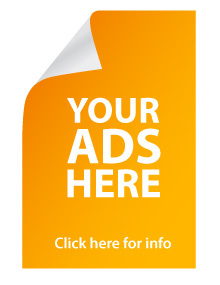 Spirit Airlines offers discounted rates coming from a variety of destinations in the U.S.(Normally connected through Miami / Fort Lauderdale.) 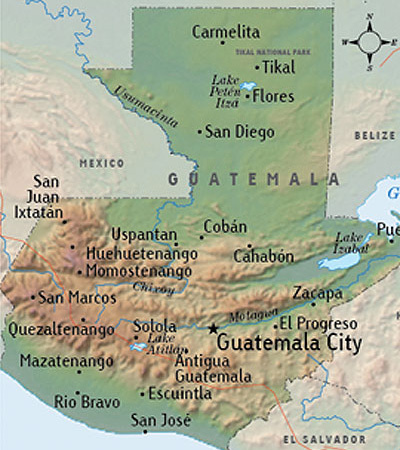 – Newly priced at $ 166 round-trip to Guatemala City. 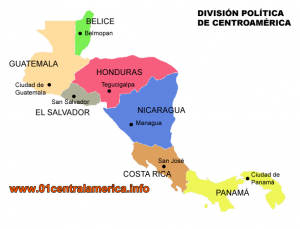 Belize City to Flores or Guatemala City via the border town of Benque Viejo through San Ignacio and Xunantunich. From El Salvador buses are available from the city of San Salvador and Santa Ana from Honduras bus services depart from Guatemala to Copan, San Pedro Sula, La Ceiba and Tegucigalpa. From Mexico buses are available departing from Tapachula, Palenque, Chetumal, Tulum, Cancun and Mexico City. From further afield is also possible to Guatemala by bus, for example bus services are coming from Nicaragua to Guatemala, Costa Rica and Panama. Tica Bus is a bus company that has newer buses and mainly travels between Central American countries with limited stops. There are several ferries to and from Punta Gorda, Belize.